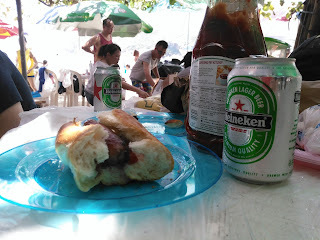 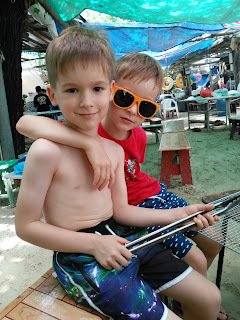 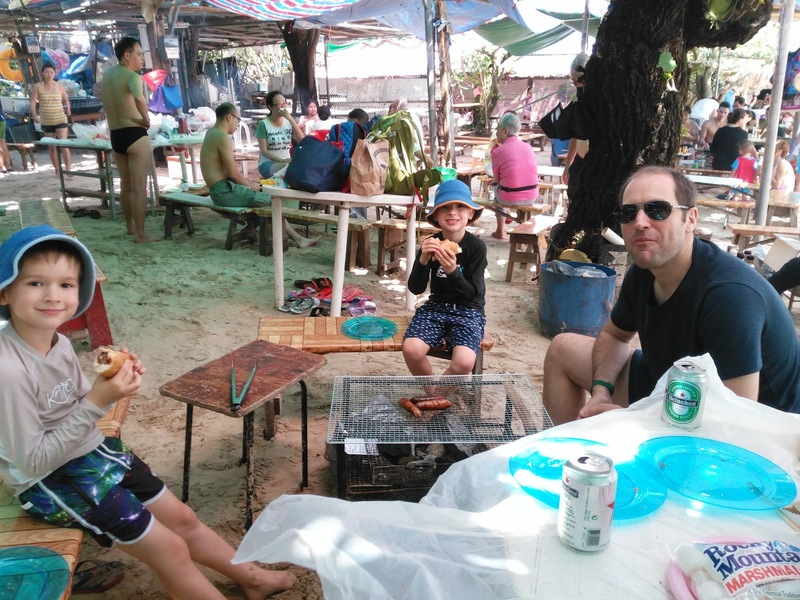 We spent a few relaxing hours on Shek O beach at the weekend, having a BBQ and taking advantage of the shade! 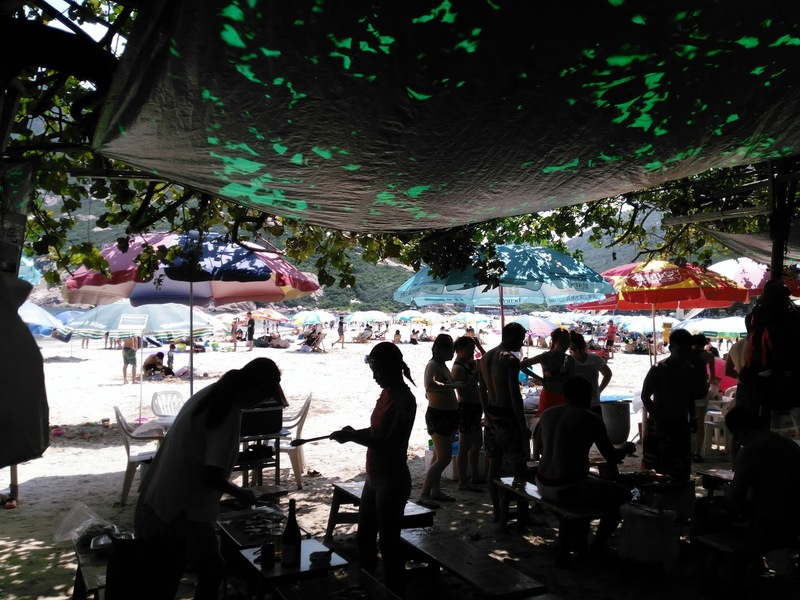 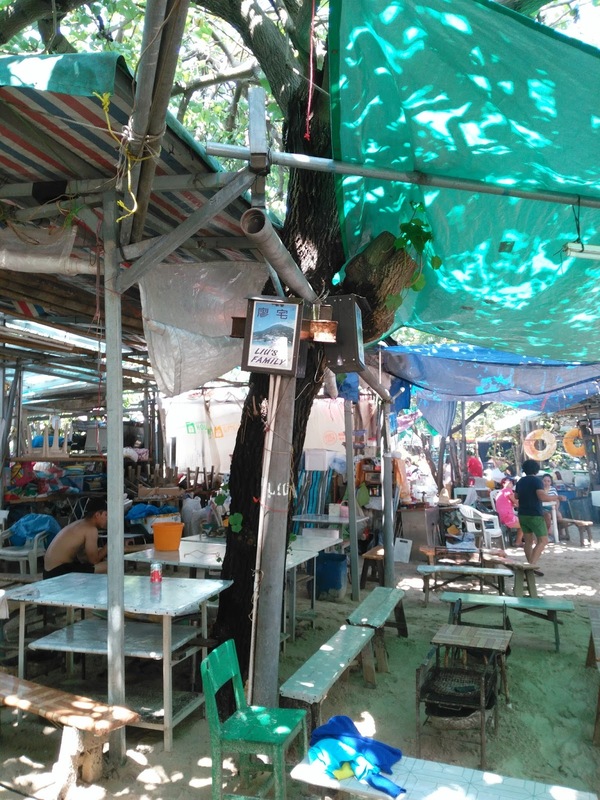 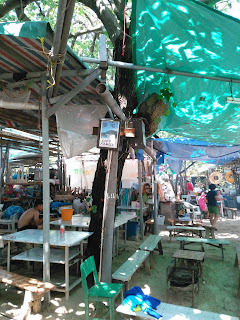 You can book at BBQ pit at Liu's (+852 2809 4579) which is on the far left hand side of the beach. You need to bring food and cutlery, but Liu's will provide charcoal, a grill and tongs. 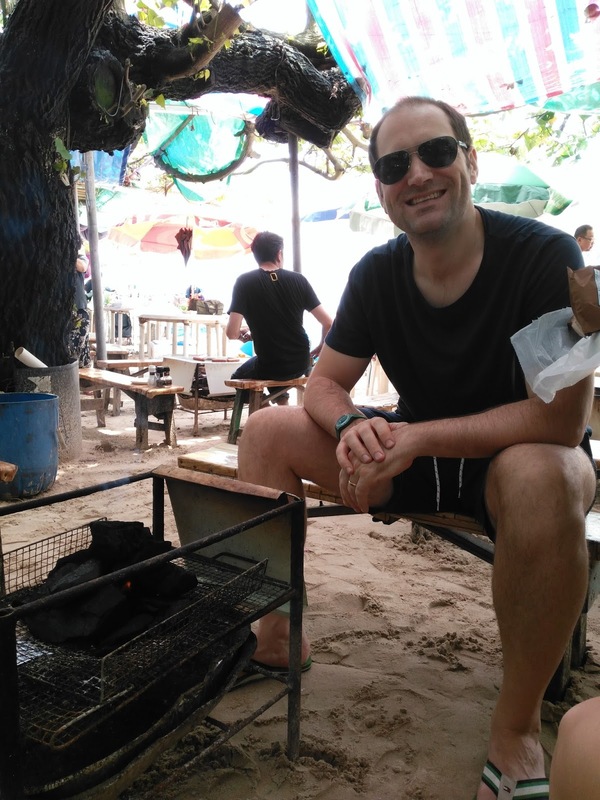 You can get drinks and marshmallows there too. We booked the pit for 1pm and had it till 6pm - it was nice to have some shade once we'd been on the beach for a while!